What is an Assured Tenancy Agreement? If you're renting residential properties the U.K., choosing between an assured tenancy and a shorthold tenancy is a critical decision that you'll have to make. Introduced by the Housing Act in the 1988, this tenancy attempts to strike a balance by allowing landlords to set their own rent while granting tenants the rights to stay on the rental property as long as they don't violate any lease regulations. As the landlord of an assured lease, you're responsible for maintaining your rental property in habitable condition according to the local health and safety standards. This also means being in charge of the fire and gas safety of your rental property. However, you won't be held responsible if you have a fixed term tenancy of more than 7 years. An assured tenant is required to by law to pay for the water bills, sewerage fees and council tax. For other property expenses such as utility and phone bills, you will have to discuss the matter with your tenant and include the decision in your rental agreement. When it comes to security deposits, the landlord is allowed to ask for any amount as long as the tenant agrees to it. However if the security deposit amount exceeds 2 months of rent, then the tenant will have the right to sublet the property to another sub-tenant unless the rental agreement prohibits him from doing so in writing. If your tenancy is a fixed term lease and your assured tenant passes away, his spouse or joint tenant who has been living with him will take over the assured lease agreement with the same terms and conditions. Is a Shorthold or Assured Tenancy Better for You? Let's make things really simple here: We highly recommend every landlord to go for a shorthold tenancy unless they have a very good reason not to do so - Click here to learn more about the other UK tenancy agreement (Shorthold Tenancy). When you compare both types of tenancy from a landlord's view point, a shorthold tenancy grants you more power to end the lease and remove tenants from your rental property. It's important that you can repossess your rental property quickly and easily in case of any problems with the tenant. In fact, some mortgage lenders are known to refuse loans to landlords with assured tenancies. Assured tenancies are quite uncommon and are mostly granted by housing associations to tenants rather than landlords opting for one. All residential tenancies that begin after 28 February 1997 (in the U.K.) will be a shorthold lease unless you manually convert it to an assured lease. Important Note: You can only have an assured lease if you are a private landlord and don't live in the same rental building as your tenant (meaning that you're not a resident landlord). On top of that, assured leases can only apply to residential properties. 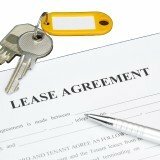 To declare your lease as an assured tenancy, you can state it in your written lease agreement or give your tenant a separate written notice. There is no formal form for this notice. Your tenant has not paid you rent for at least 2 months. If the rent is paid every quarter or year, he has to owe you at least 3 months of rent. Your tenant or his occupant caused property damage (due to abuse or neglect). Your tenant supplied you with false information during rental application. Before you can file your lawsuit, you have to send your tenant a written notice informing him that you wish to go to court to regain possession of your rental property. Assured tenants do not have to leave your property until you have obtained a court order to evict them.